People unlock their phone and, increasingly, shop and pay with the touch of their finger. They don’t get locked out when they forget a password because it has been replaced with a simpler, more secure option – mobile biometrics. Whether using a fingerprint, an iris scan or a “selfie” to confirm identity, banks see biometric technology as a way to provide greater convenience and security to customers as they use their accounts. But, it’s still early days in mobile biometrics, and a new report from Mastercard and the Department of Computer Science at the University of Oxford highlights a big barrier. Only 36% of relevant banking executives feel they have adequate experience to deliver. To overcome this knowledge gap, “Mobile Biometrics in Financial Services: A Five Factor Framework” explores this fast-evolving technology landscape and provides bank executives with guidelines to successfully bring mobile biometrics to life. Simply put, they need to focus on Performance, Usability, Interoperability, Security and Privacy. Some of these factors are more visible to the consumer, having a real impact on user experience, while others operate behind the scenes. But, long-term success for a bank requires that they address all factors equally to protect against threats. The framework can help financial service companies avoid the trap of focusing only on the ones their customers see. “Biometric authentication has a lot of potential, but it is important to address the objectives of each of the Five Factors when designing solutions. Working together with Mastercard enables us to solve for realistic threats to the industry with the best technical and scientific ideas. Users will need consistency, quality and assured security for this technology to thrive,” said Professor Ivan Martinovic, Department of Computer Science at the University of Oxford. Considering that global sales of smartphones are expected to reach $400 billion by next year, people everywhere will increasingly have access to the tool that makes mobile biometrics possible. 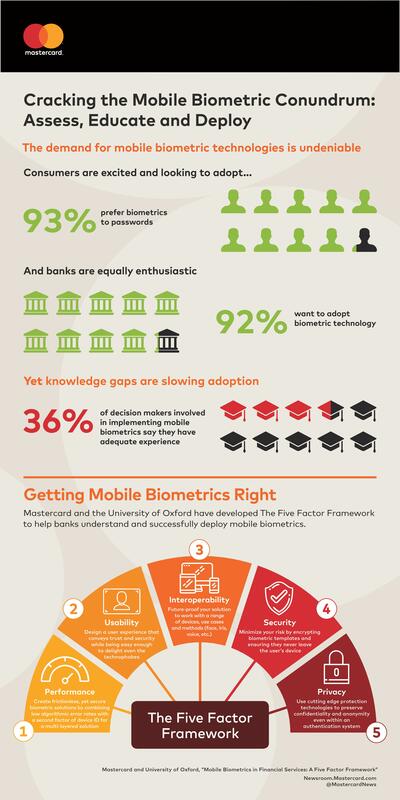 Banks see that as an opportunity, and with initiatives like the collaboration with the University of Oxford and pioneering biometrics solutions like Mastercard Identity Check Mobile, Mastercard is a partner to deliver widespread and responsible adoption of mobile biometric solutions in financial services. An Opus Research synopsis of the research contains a breakdown of the critical issues financial service companies need to address to successfully guide their businesses through the biometric journey, ensuring they’re making the right decisions every step of the way. The white paper is now available here. In addition, a webinar on the Five Factor Framework will be hosted by Opus, in collaboration with Mastercard, on July 11. Register here to secure your place. 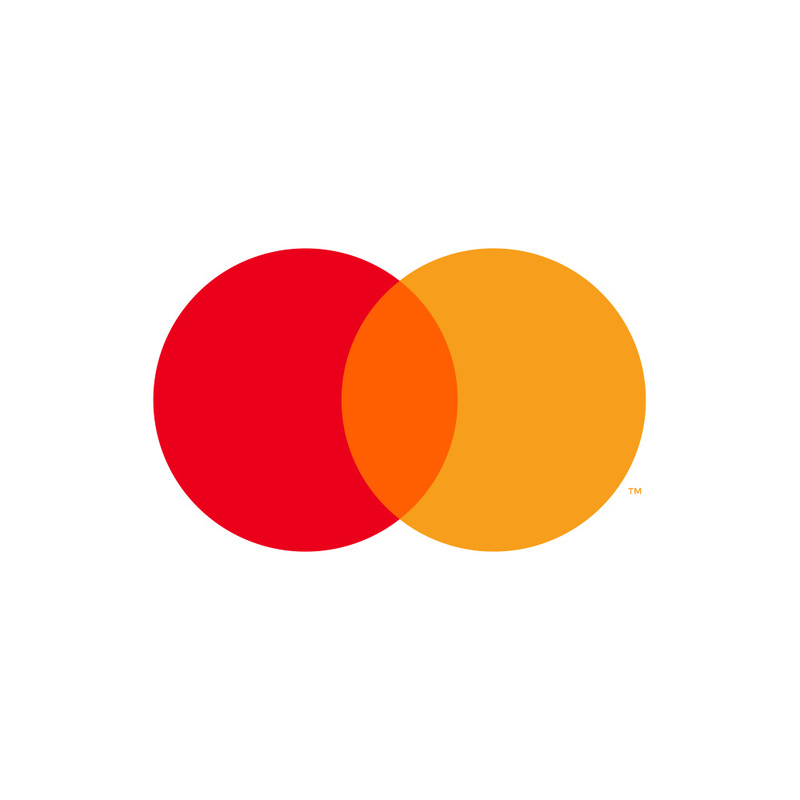 Mastercard is one of the truly great global companies of our time. Absolutely one of the “Greatest Companies” on the planet!!!!!!! Wish I would have bought more “MA” back at the IPO in 2006. But atleast I do own it and will continue to do so for the “long haul”. Thank You. Why I cannot use anything with my payoneer mastercard? Why I cannot promote facebook page with card? This is digital banking on a whole new level. The fact that my identity to have access to financial services will no longer be based on what I can remember(often very tiring) but who I am takes off the mental stress experienced trying to remember each letter, digit and special character!